UPDATED November 2, 2016 – Unitron Hearing Aids Reviews provides a full overview of Unitron models and features. 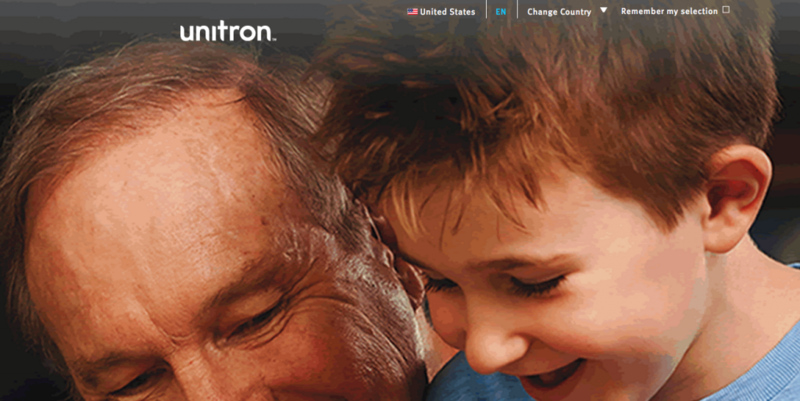 Unitron is a corporation that manufactures and distributes high-quality hearing devices all over the world. 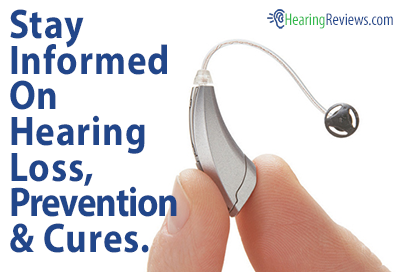 Unitron hearing aids reviews are suited to accommodate all hearing losses. Additionally, the company produces a hearing device to suit just about any budget. They provide top-of-the-line, advanced hearing devices, all the way down to basic, affordable hearing devices that deliver phenomenal performance. Unitron Hearing even produces hearing devices designed for children, as the company knows that hearing plays a critical role in the development of children as they grow. Unitron Hearing Aids Reviews has included these child hearing aids in their overview. The company provides a broad range of hearing devices all reviewed by Unitron Hearing Aids Reviews. Unitron hearing aids are available in numerous colors, to suit the preferences of any potential user. The company makes standard Behind-The-Ear (BTE) models, ultra-small BTE models, High Power BTE models, Super Power BTE models, In-The-Ear (ITE) Full Shell models, ITE Half Shell models, Canal ITE models, Completely-In-The-Canal (models), and Open-fit Canal-Receiver-Technology (CRT) models. Many of these styles are available with each product line that Unitron manufactures. Additionally, Unitron also produces CROS and BiCROS hearing devices for those with no good hearing in one of his or her ears. Unitron Hearing Aid Reviews have reviewed several products that Unitron distributes including the Quantum, Moxi, Passport, Latitude, Shine, 360, Tandem, Fuse, Yuu, Next, Indigo, Element, Unison, and Breeze. As you can see, Unitron Hearing Aids Reviews shows many of their series are available with multiple styles of hearing aid. Consumers are provided with even more variety since many of Unitron’s products are available with varying levels of included technology. 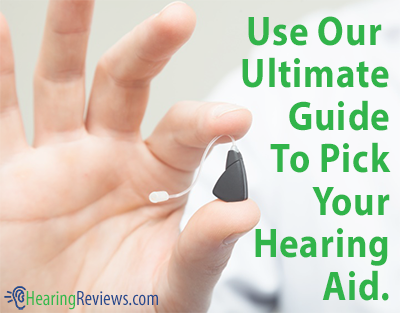 This helps to ensure that any user can find a hearing device that is right for him or her. Unitron Quantum hearing aids are a series of fully automatic hearing devices that deliver natural, effortless hearing to users. With these Unitron hearing aids devices capable of wireless connectivity, users gain the enhanced enjoyment of his or her electronic devices, including their television, mobile phone, MP3 player, and more. The Unitron Hearing Moxi hearing aids are a series of sophisticated hearing devices with a sleek design. Available in a wide variety of unique colors, the open-fit CRT (Canal Receiver Technology) Moxi hearing aids deliver natural sound, and exceptional speech clarity. These advanced Unitron hearing aids devices are available in four different performance levels, with the Moxi Pro, Moxi 20, Moxi 12, and Moxi 6. Unitron Passport hearing aids are a collection of premium hearing devices that deliver excellent hearing even in the most difficult listening situations. The Unitron Passport series comes in a variety of styles, including small Completely-In-The-Canal (CIC) units, up to open-fit Behind-The-Ear (BTE) models. Each style is available in a variety of colors as well, allowing users to find the hearing aid that is right for them. Unitron Latitude hearing aids, are high-quality, advanced hearing devices designed to deliver users with exceptional hearing in just about any listening situation. Available in three different technology levels, consumers have the option of getting exactly what he or she needs in a hearing device. These performance levels include the Latitude 16, an advanced, premium hearing aid, the Latitude 8, a mid-level hearing device, and the Latitude 4, a basic Unitron hearing device designed to deliver excellent features at an affordable price. The Unitron Shine hearing aids are Unitron’s entry level devices that provide a reliable hearing solution at an affordable price. The devices are designed to provide the wearer with comfortable listening and enhanced speech clarity in a variety of situations. With eight different styles to choose from, including Behind-The-Ear (BTE), Receiver-In-The-Canal (RIC), In-The-Ear (ITE), and Completely-In-The-Canal (CIC) devices, users can choose a hearing aid that is comfortable for them. Unitron 360 hearing aids are high-quality hearing devices that are designed to deliver reliable performance at an affordable price. Unitron 360 hearing aids are available in 2 different performance levels: the more advanced 360+, and the more basic 360e. The 360+ hearing aid is a mid-level super power hearing device that delivers excellent speech understanding with a design for those with severe to profound hearing loss. The 360e hearing aid is a super power hearing aid that provides users with severe to profound hearing loss with excellent performance. Unitron Tandem hearing aids provide a solution for individuals with no good hearing in one of his or her ears. These CROS or BiCROS hearing devices are designed to pick up sound from the poorer ear, and transfer it to the user’s better ear, wirelessly. This provides users with sounds that may have otherwise gone unheard. This technology can help users stay in conversations more easily, without having to tilt his or her head to hear sounds on his or her poorer-hearing side. Automatic Program with Smart Focus: This technology automatically and seamlessly adjusts the user’s hearing aid’s settings to make speech clearer, or dampen unwanted background noise, as the listening environment changes. Self Learning: Many of Unitron’s hearing aids gradually learn the user’s situational listening preferences and automatically applies them to different hearing environments. LearnNow: This feature allows users to instantly teach his or her hearing device their loudness, comfort, and clarity preference across various situations. Pinna Effect: The outer ear (pinna) of the user is designed to help locate sounds in his or her environment. With some hearing aids, this ability will diminish. However, with this feature, the hearing aid corrects for the location of the hearing aid’s microphones, allowing for more accurate sound location. Binaural Phone: This feature helps make conversations on the phone easier, and more pleasant. When the user is talking on the phone, he or she can hear their conversation in both ears. Natural Sound Balance: This feature continuously monitors and adjusts the user’s hearing aid settings to help preserve natural sound quality. DuoLink: This feature is excellent for users with binaural hearing systems. With just one touch, both of the user’s hearing devices are adjustable. This means that adjusting the volume or program settings of one device automatically results in its change on the other device. Directional Microphones: Many Unitron hearing aids feature directional microphones that help improve in noise speech hearing and understanding by focusing on sounds in front of the user, while also reducing sounds from other directions. Feedback Manager: This feature instantly eliminates the annoying whistling that can sometimes occur with other, less advanced hearing devices. This can help improve the quality of conversations on the phone, where feedback can often be a problem. AntiShock: This feature instantly suppresses loud, irritating, impulsive sounds like glass breaking, a door slamming, or dishes clanging. Wind Noise Manager: This technology can help enhance user enjoyment outdoors, by suppressing wind noise that can become cumbersome over time. IntelliVent: Unitron’s custom venting process helps improve the company’s hearing aids’ comfort and sound quality. This venting process helps keep the user’s voice sounding normal to the user. MyMusic: This feature provides users with enhanced music listening, based on his or her preferences. Easy-t: This feature allows many of Unitron’s hearing aids to automatically switch to the device’s telephone program when the user is on the phone. Easy-DAI: When a Direct Audio Input (DAI), like an FM signal, is received in the user’s hearing aid, the device automatically changes to a specialized listening program for it. Noise Reduction: This noise-cancellation technology helps fight listening fatigue in noisy situations, such as traveling in a car, or eating in a crowded restaurant, by substantially reducing unwanted background sounds. Data Logging: This feature tracks the hearing aid’s use to help guide adjustments for follow-up appointments. Many of Unitron’s hearing aids reviews are compatible with the company’s accessories that can help provide convenience or improved hearing in a variety of situations. uDirect2: This accessory wirelessly delivers clear sound signals to both of the user’s hearing aids from a variety of electronic devices, including Bluetooth-enabled mobile phones, MP3 players, and other electronics. The device can also act as a remote control for quickly adjusting the hearing aid’s settings. The uDirect2 was designed for Quantum and Moxi hearing aids. uTV2: This device is designed to deliver exceptionally clear audio from the user’s television in stereo sound to both of the user’s hearing aids. This device works by first sending audio to the uDirect2 device, and the uDirect2 sends audio to the user’s hearing aids. Smart Control: This handheld remote control provides users with a broad range of hearing aid control, including changing volume and program settings. This remote is compatible with most Unitron hearing aids, but some features of the device will vary between hearing aids. Unitron Remote Control: This device provides users with easy and straightforward control of essential hearing aid features for the Moxi and Quantum hearing aids. Direct Audio Input (DAI): Also known as an FM audio shoe, or FM receiver, these small accessory attaches to the end of BTE hearing aids, allowing users to connect directly to an audio system, television, or other electronic devices. This can help bring clear sound reception to users. Smart Alert System: This advanced system provides hearing aid wearers with the assurance that he or she will hear household alerts, such as the doorbell, telephone, or smoke detectors. It can be ideal for people who wish to continue to live independently, people who have missed the doorbell or a phone call due to their hearing; people concerned about missing a smoke alarm or other critical alert, and those with severe to profound hearing loss. This customizable system includes a remote control, and a bed shaker, designed to wake users in emergencies. Concluding Unitron Hearing Aids Reviews, Unitron’s variety of hearing aids, technology, style preference, or any hearing loss, can find a hearing device that is right for them. Nuear hearings aids was purchase November 3/09 and one was renewed and both repaired during the period of 7 1/2 years a number of times, I sent both hearing aids to be repaired August 2017 and was informed they could not be repaired or replace, because there was no pairs available ,I was informed I would have to purchase new hearing aids . I,m very disappointed and disagree with the system.